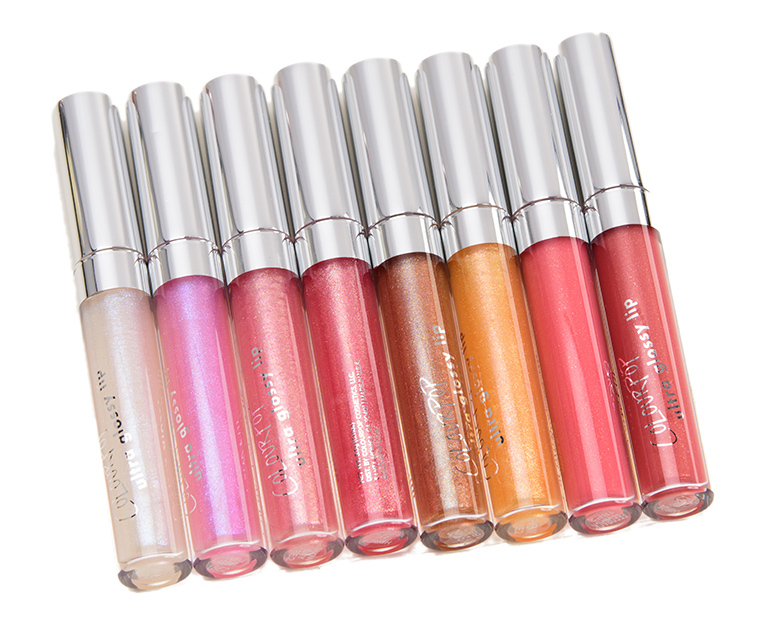 Colour Pop Ultra Glossy Lip ($6.00 for 0.11 fl. oz.) is supposed to have “hi-shine” with a “non-sticky” texture that “feels amazing” and includes five finishes “from 3-D pearl to sheer tinted colour.” They are designed to be a sheerer formula, so many shades are sheer with a smattering of shimmer or sparkle and then a few are more tinted with sheer to semi-sheer coverage but no shimmer. 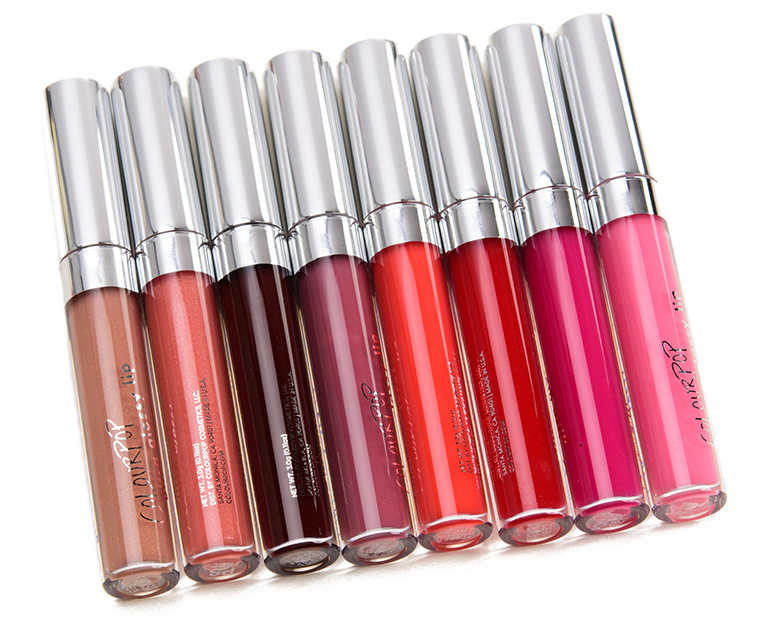 Each gloss has a short, brush-type applicator, which worked better than I expected and didn’t leave streaky results behind (in general). They had a sweet, vanilla scent but no discernible taste. If I do wind up buying a few of these, I’ll get On Board and Secret Weapon. Both seem to be good ones for me. I still love Champagne Mami, too. These are nice enough, but not terribly exciting to me.